"THSC" is a bonafide blast EVERY year, and it sells out EVERY year, so don't snooze on it. It'll be the same price as it always has been for a full three days- with camp sites included too.... and yet again, we'll have not one, but around EIGHT (Update- TEN now!) host/teachers, and multiple building and design projects ALL HANDS ON. We'll announce specifics as things progress, but so many people have asked about the date, that we decided to pre-post the sign-up link so that those people could sign-up before the workshop filled up. We are one of the very few fully hands-on workshops in the US- we have been since 2009. 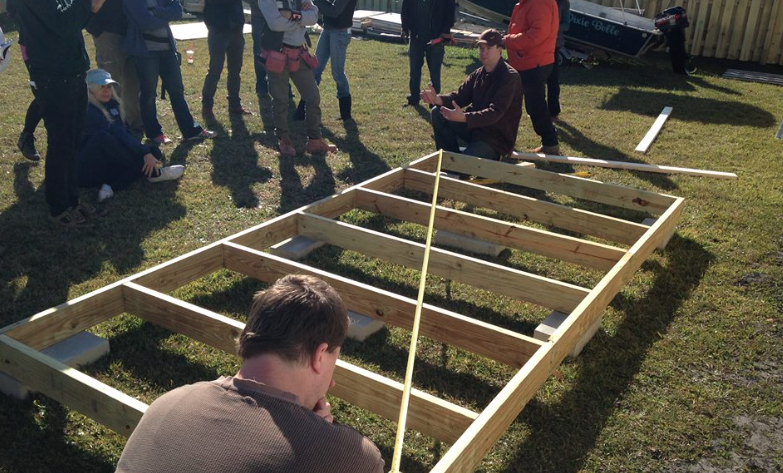 We've taught building workshops from Sydney to Fargo and everywhere in between. Dustin and I have hosted shows and designed for HGTV and The DIY Network, and have been featured in the NY Times, Boston Globe, China Times, The homepage of Yahoo.com, and in countless other magazines. More importantly, these workshops are A LOT of fun, your chance to learn new skills, network with other likeminded people, be inspired, and to learn how to think outside the box. You'll camp with people, work alongside them, and be able to jump from one of three LIVE projects at will! If you're looking for a slick website and blog page promoting this event, you won't find it here- we're too busy traveling, designing, and building- non-stop. 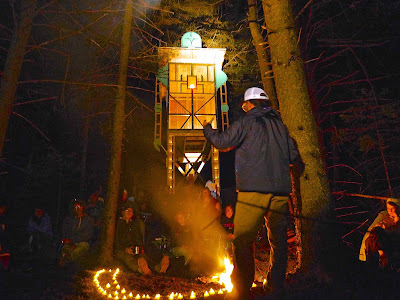 But if you want to have a one of a kind experience with many good and talented people on a 10 acre spread of off-grid land in Northern Vermont, than this is the workshop for you! Our format is LEARN by DOING! You'll be wielding tools and working on one of THREE live projects on this large parcel of off-grid land. This is no workshop "cattle call" like others- the ratio of teachers to students is the best you'll find- often one teacher for every four or five students. This way there is LOTS of time for one on one talks and individual questions. Joshua and Shelley Engberg of TINY HOUSE BASICS (trekking ALL the way from San Francisco!). They are builders, designers, AND dwellers and have a internet-viral tiny house (gorgeous!). Come prepared with questions. The focus of their talk will be "BUILDING ON TRAILERS- selection, methods, and what to watch out for". ZANE SPANG (coming from Montana!) and his tiny-tiny cabin on wheels. Zane is a DIY builder, lives a good portion of his year off grid, and nomadically, and can tell a heck of a Native American ghost story by the campfire! You'll LOVE this guy! PALO COLEMAN- "Where A.D.D. and D.I.Y. meet"- Palo "Bump" Coleman is one of the more interesting people you'll meet and he's obsessed with Japanese architecture and techniques. Palo will do two live demos (showing you a variety of tools you have most likely never seen) performing bamboo joinery techniques, AND doing a live Shou-Sugi-Ban fire-preserving (wood) demo at night. Not to be missed. JESS and DAN SULLIVAN- Back by popular demand come this duo who built and lived in a tiny house of their own design for many years. They run the blog http://AnotherTinyHouseStory.com and crafter one if the more striking and original homes in the scene! MARTY "Baccardi" SKRELUNAS- CT Preservationist Architect/Tiny House Madman. Marty is a four-time teacher to "Tiny House Summer Camp", and will be teaching a demo on vintage window repair and reglazing, as well as one on cedar shingling techniques, alongside Dustin Diedricksen. SHIPPEY The DIY PIRATE- As seen on HGTV's "Tiny House Builders", Jim Shippey will be on hand to build alongside all of you. 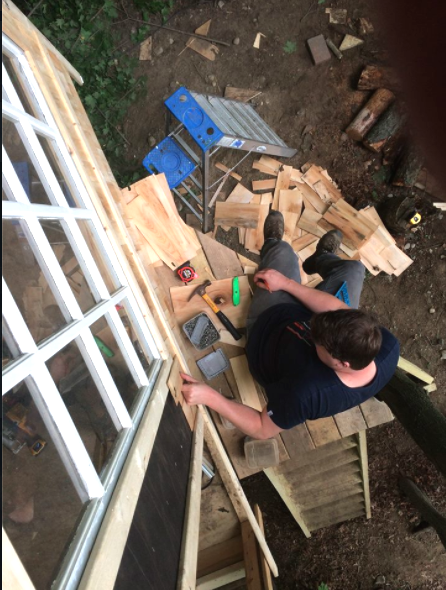 From Tree houses to Tiny Houses, Jim has worked on 'em all. He also passes his time by looking a heck of a lot like Abraham Lincoln.